The training partnership of Murray Baker and Andrew Forsman has notched another Group One win with Madison County in the New Zealand 2000 Guineas at Riccarton. Madison County has lived up to his favouritism to win the Group One New Zealand 2000 Guineas for premier trainers Murray Baker & Andrew Forsman . 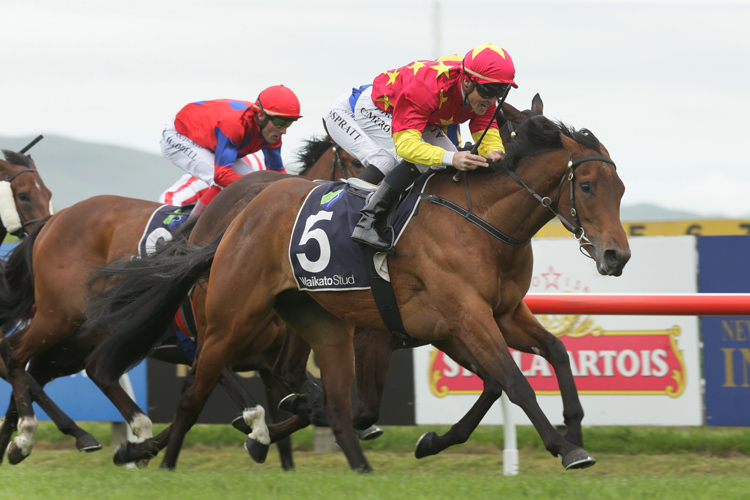 Ridden by Matt Cameron , Madison County is owned by the China Horse Club whose chairman Teo Ah Khing was on course at Riccarton on Saturday. "I guess there was a query on the track which was a little bit niggly," Forsman said. "I think the horse to beat, Dawn Patrol, had to make his run on the inside which helped us a lot as Matt got a beautiful run just off the fence. "This was our number one target as we had labelled him a Guineas horse after he won his two-year- old race last season. "Everything has gone right, thankfully." "It's great for New Zealand racing to have them involved in the New Zealand thoroughbred industry," he said. "To get a result like this is hopefully going to produce future investment from them."